From their base in Tiverton, Devon, ACS work throughout the U.K. to provide industrial, private and commercial clients with the highest quality floor preparation. Including: coating removal. polishing and diamond floor grinding. ACS had been undertaken floorgrinding work for several years, but had yet to venture online. 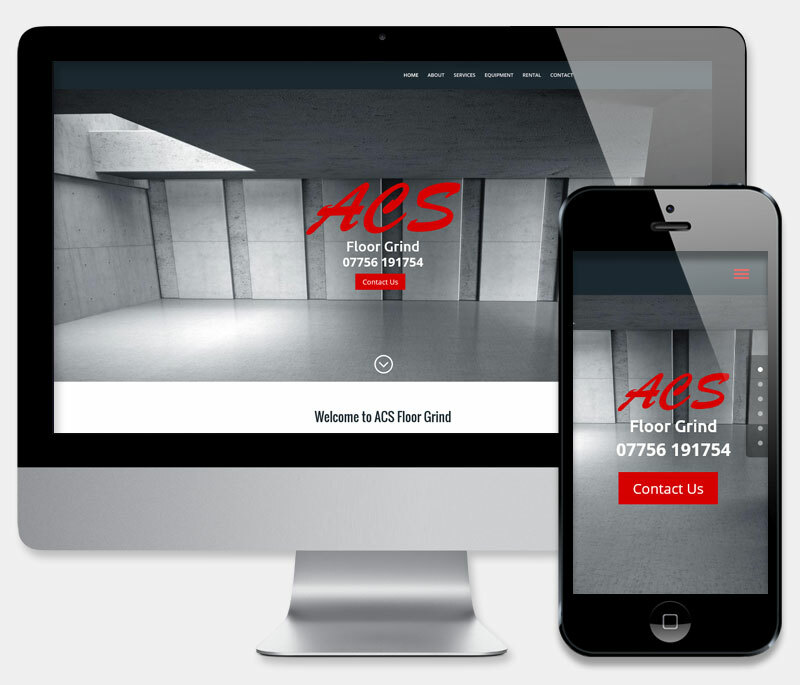 They required a cost effective one page website to increase intererest and provide an online gateway to their Floor preparation services. This simple yet elegant one page site provides all of the necessary sale information required to advertise essential services. Content is divided into easily maintained sections, via the Worpdress CMS while the modular layout will allow future expansion should additional content, testimonials or example galleries be required. 'Call to arms' buttons and accessible contact form finish off the site.